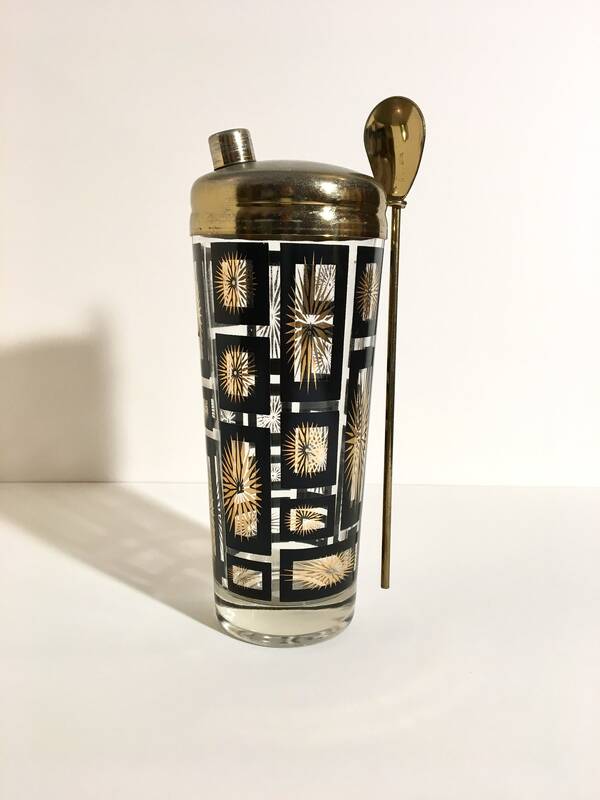 Beautiful vintage cocktail shaker by Jeannette Glass in the Atomic Gold Starburst pattern. 32oz. shaker measures about 8" tall. Comes with lid, and stirring spoon. Metal could use a polishing. 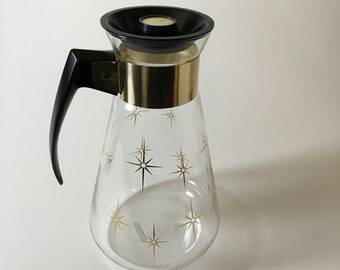 NOTE: that we are unable to get the cap off of the spout. It appears to be stuck from a long time ago.